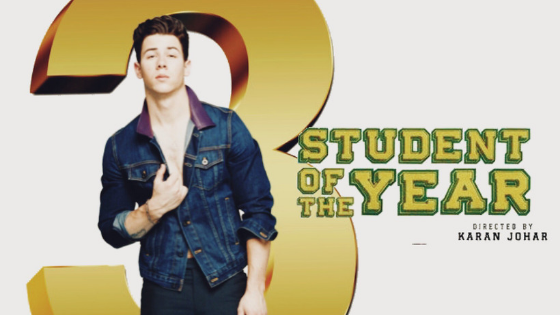 Nick Jonas in Student Of The Year 3? So, Karan Johar and Nick Jonas are now following each other on Instagram, Student Of The Year 3 has been announced on Twitter and already, worlds have collided. KJo recently tweeted announcing Student of the Year 3 saying “Am so excited and proud to handed the franchise to you!!! #soty2 coming your way soon!!! Shall we reveal our plans for #SOTY3 just now!!? Or actually let’s keep em guessing,” he wrote in the tweet. Fans quickly connected the dots, when Karan started following on Nick soon after (are we guessing too hard here?) . Priyanka Chopra’s recent marriage to Nick may probably be just the thing Bollywood needed. Sooo, we don’t really know, but who cares? Are we excited to see Nick romancing in college in SOTY3? Hell yeah!